We’re not sure how this one flew under our radar as the Hudson H9 was a pretty popular handgun last year at shotshot! However this year they were no where to be found. The reason? 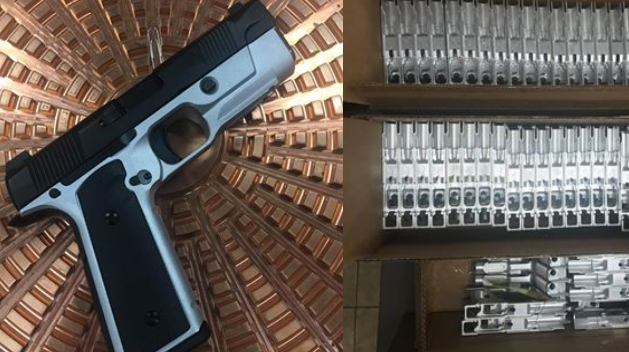 The Makers of the widely praised Hudson H9 have filed for chapter 7 bankruptcy! This comes shortly after a lawsuit filed by Cambridge Valley Machining and various reported customer service woes according to TheFirearmBlog! But it seems like Cambridge Valley Machining May not be the only company that hasn’t received payment. That was until KE Arms LLC made this statement on face book. Whataburger Pulls The Plug On The WhataPistol!